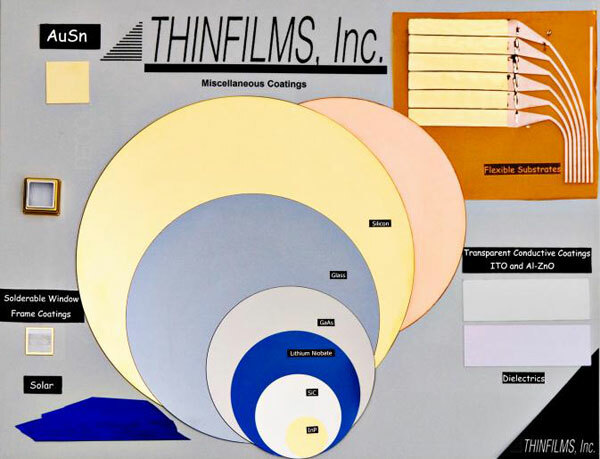 Hard Coatings | Sputtered Coatings | THINFILMS Inc. 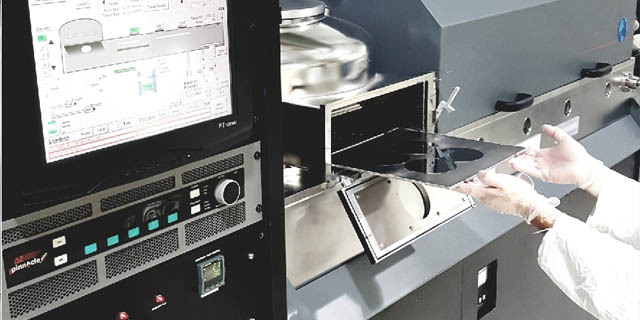 Hollow Cathode Magnetron Sputtering (with substrate ion bombardment) is used for coating three dimensional parts as they rotate during deposition. The coatings may also be applied to flat (two dimensional) substrates. TiN can be reactively sputtered which produces a hard, gold colored coating. TiOxNy may be sputtered for a dark colored hard coating. TiB2 coatings can be sputtered on planar substrates that produce ultra hard and smooth coatings approaching approximately the hardness of diamond. Heat sinks can be manufactured to design or coated with AuGe, AuSn, Sn, and In. This allows direct soldering to the substrate without utilizing a pre-form. AlN heat sinks are routinely manufactured to customer’s specifications for laser diode applications. The sputtered AuSn is very uniform and consistent. Other materials available for rapid delivery include Al and Al-Si alloys, TiN, BN, Co, Mo, Nb, Si, SiC, TiB2, V, Zn, Zr, C, and Ru. Please call to inquire since other materials are routinely added for customer requirements.